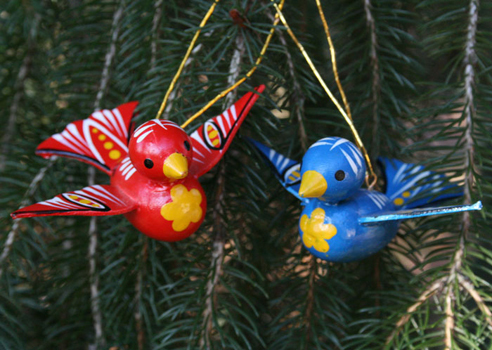 Welcome to the First Annual Xmas Tree Bird Ornament Count. I apologize for not having the submissions posted on Xmas day as planned, but I had not realized where I would be spending the holidays did not have wireless access and time was a bit hectic to slip away to a local coffeeshop. 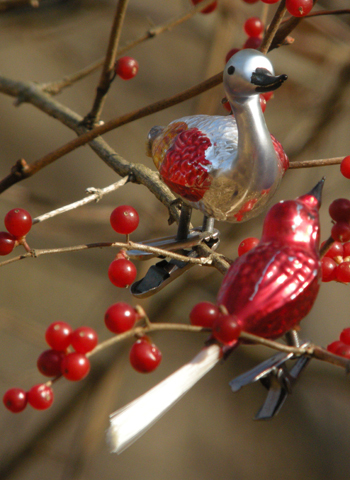 However, we do have some fun photos of Xmas tree bird ornaments that were sighted in this year. 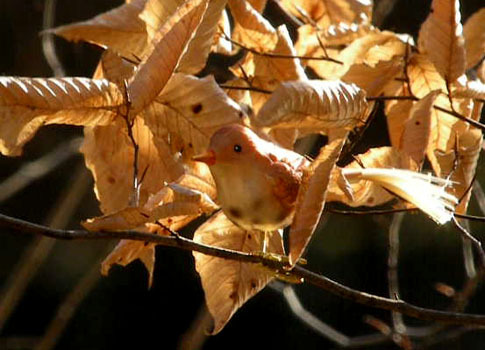 The Peach-breasted hummer lives in the Unicoi Mountains of Tennessee. It favors the environment of Yellow-bellied sapsuckers and follows them into the valley in winter, thriving on the sapsucker sap excavations. It also likes to lap the condesation from windows and looks brilliant in sunlight. 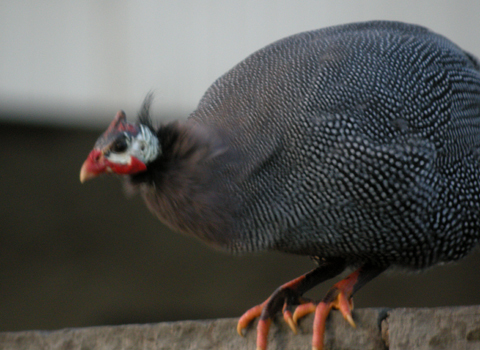 These birds come in two color morphs; red and blue. Both have a yellow breast patch. They frequently squabble over who gets a higher perch in the tree, a bit like siblings decorating a tree. 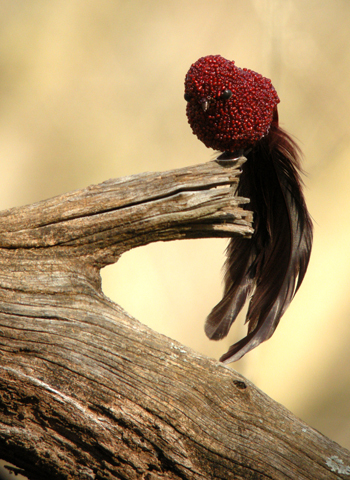 The birds are endemic to Solvang, CA and live there year round. Both photos were taken with a Canon Rebel Xti 355 lens. The next photos are of some not yet fully identified species that were seen by Peter Clement, Haverford, PA. Taxonomists have however, managed to assign these birds to two families: Family Danglidae (The Danglers) and Family Clipidae (Clipids). 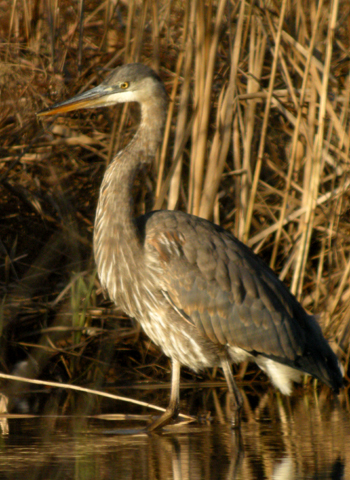 Note the dorsal string visible on the dangler individuals. The cardinal-like specimen and the sparrow mimics are in the Family Clipidae. Clipids are easily identified by their cliptyle foot, which is actually two feet joined into a single extremity. 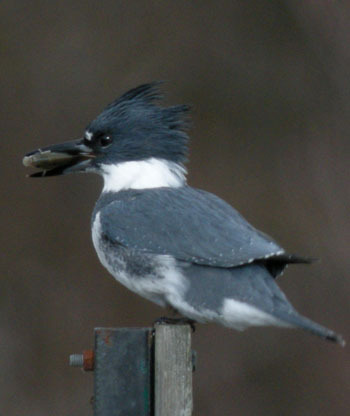 The final submissions are from the Bufflehead Birder. All shots were digiscoped using a Swarovski 80 HD ATS and Nikon Coolpix P5100. 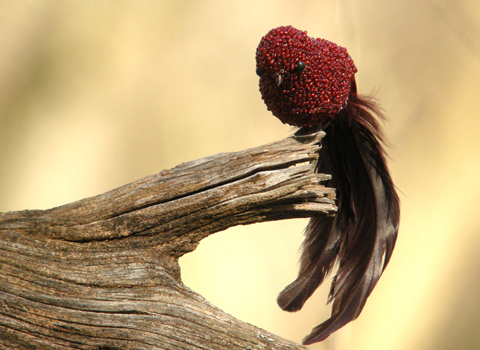 The Beaded Tanager is one of the most elegant of the clipids. A joy to see anytime. 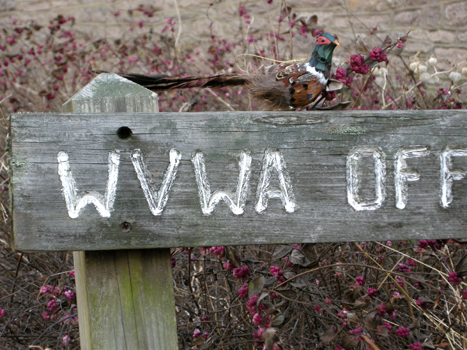 Posed on the Wissahickon Valley Watershed Association sign. 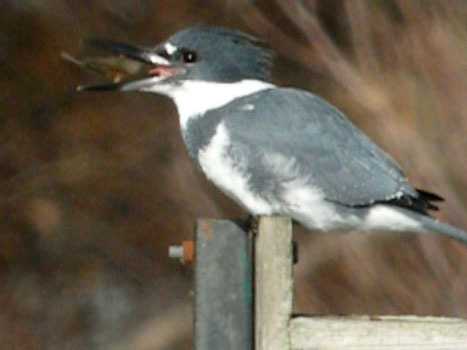 The obvious dorsal string and diminutive size easily distinguish this bird from its larger and noisier cousin. 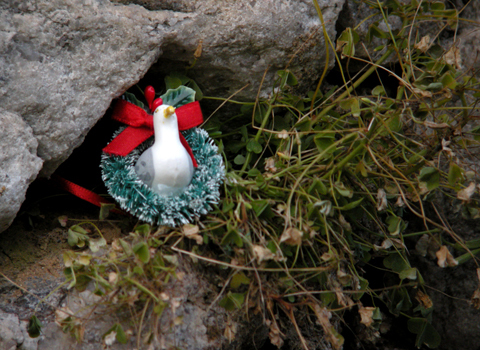 Although a member of the Family Danglidae with its wide red dorsal ribbon, the Wreath Gull can roost comfortably anywhere by constructing an evergreen “roost ring”. In winter the forest is alive with the chatter of Bristletails. Below a pair of Red-winged Bristletails forage for berries. 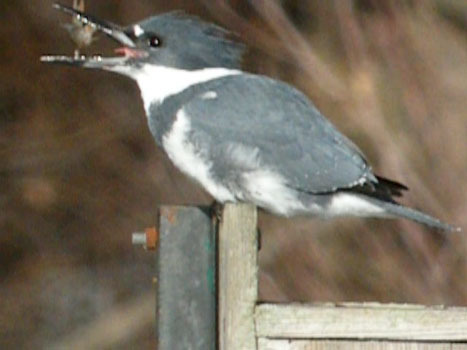 The male has a silver body with red wings, while the female is all red. After a certain age some bristletails may lose their thick springy tail feathers as has the male below. The Family Clipidae contains a large number of bristletail species. The exact number is unknown as new species continue to be described. A Copper Bristletail takes what enjoyment it can from a pale December sun. 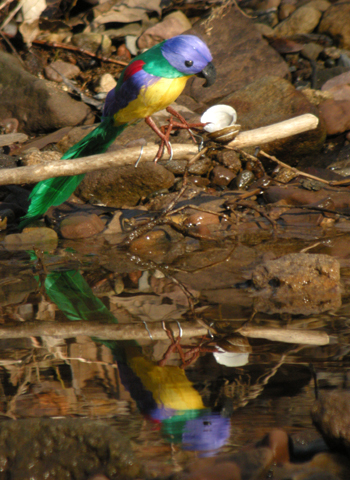 The Painted Wissapooki is the only temperate climate parrot and inhabits riparian areas where it dines off shellfish and aquatic insects. A member of the Family Clutchidae, this bird uses its prehensile fourth toe to grasp its perch firmly while the remaining toes are free to brace prey items and obtain advantage in prying open stubborn shellfish as the Wissapooki below demonstrates. I was too late to capture the action with the video function on my P5100, or you would have been able to watch the whole thing. Next time. 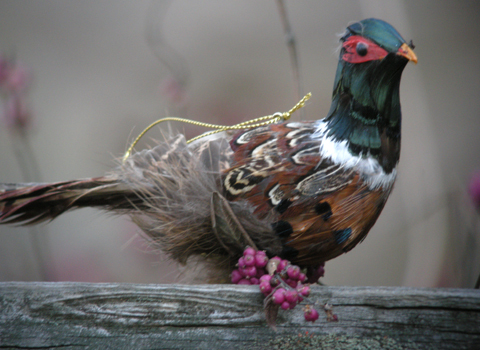 I’m sure many of you are taking part in the 2008 Audubon Xmas Bird Count, as am I, but what about the 2008 Xmas Tree Bird Ornament Count? 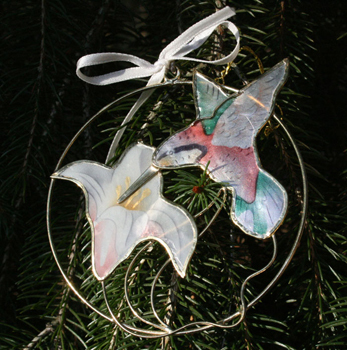 Photograph any holiday ornament bird that could attach to an evergreen tree via wire, string, hooks, or clips. It is okay to have the hook or whatever visible in shot. 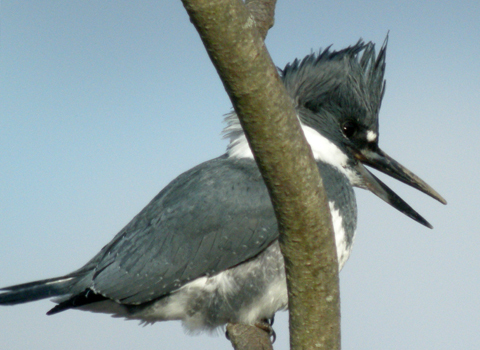 You do not need to be a birder or even a photographer to submit. It does NOT have to be in a Xmas tree. You may photograph it by a feeder, in a tree, in a mist net, being banded, basically any place a bird might be found. Any type of photography equipment is acceptable, even a disposable camera. It is not mandatory, but it is fun to include a name, life history facts, and type of camera and lens used to capture its image. Also, let me know what name (if any) and hometown / state to put with the photo submission/s, and if you have a blog or website link you would like included. Since this is the first year of this count, there is no limit to number of submissions per person. I’m entering all 9 of my bird ornaments. Then submit your image/s to b1776hunter@hotmail.com. You may also send any other questions to this email as well and I’ll be glad to answer them. This is not a competition, just some fun with our photography equipment. All submissions will be posted December 25th. 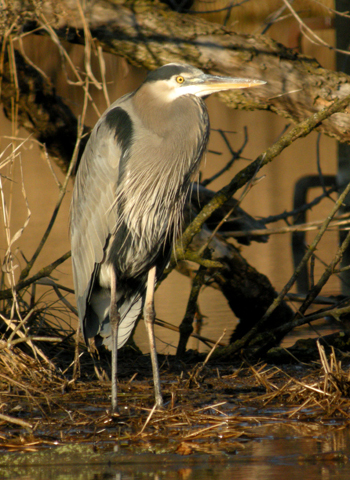 Just a few shots of a some Great Blue Herons I saw at my favorite pond today. Not so cold as last Sunday but cold enough to keep most people away. 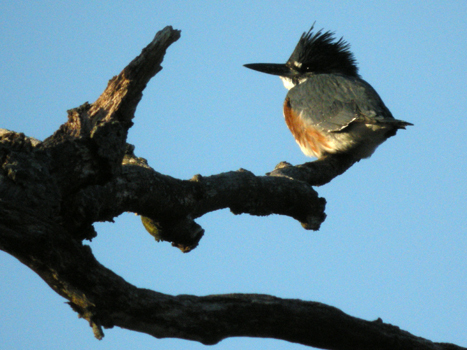 So it was just me, the herons, 3 Red-tails circling and crying above, and yes, another kingfisher–the female this time. 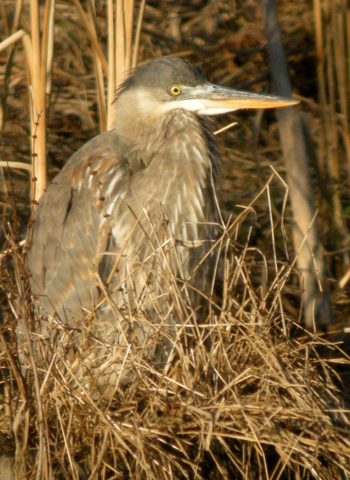 The yellow eyes of the herons were easier to see in order to determine if I was in focus, whereas, it was harder to pick up the highlight in the kingfisher’s eyes though my LCD viewer. Sometimes I used the jagged edge of her crest as a focus target. I can’t tell if her bill is scarred or just peeling in places. Can this happen from banging fish against rocks or tree limbs? My other thought is that these could be fish scales still stuck after her meal but not too sure about that. If anyone knows please leave a comment. 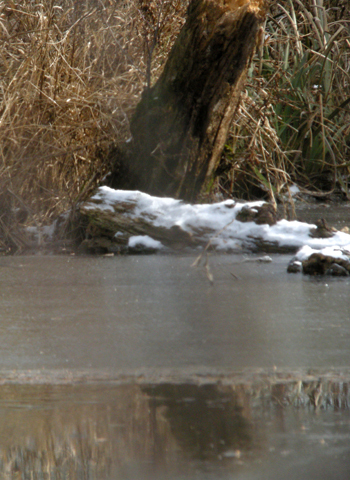 For more kingfisher and heron photos go to my Flickr account. Click on image to do this puzzle. Just a quick post to show that the author of this blog is still alive and alert. I have other posts in the works but I am a slow writer. Last Sunday I had planned a trip up to Hawk Mountain Sanctuary, which lies in the Pennsylvania Appalachians northwest of Allentown. But it was blustery and cold and I didn’t think it would be much fun on a mountain top. 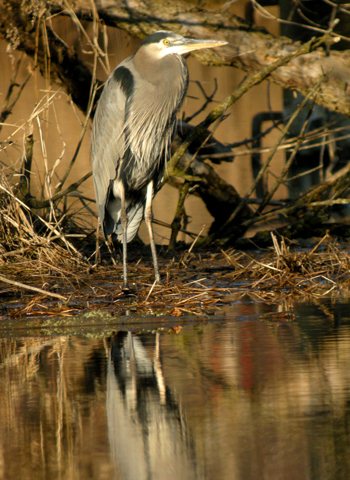 So I took my digiscoping gear to my favorite pond to see who might be around. Wind whipped at my hair, snapping it around, and my body was still settling itself into a thermo-regulatory comfort zone as I headed over. The pond certainly looked dead. Who was I kidding? Everyone’s going to be hunkered down. However, no place is ever really dead. Just because birds weren’t screeching and hopping up and down for my attention doesn’t mean nothing’s there. So, I repeated my mantra: you never know. 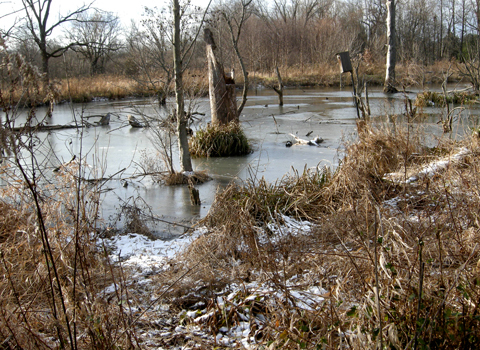 I circled around to my favorite end, where in the warmer months turtles bask on the fallen logs. We’d had snow the night before and while most of it had melted, there was still a thin crust of ice on the pond and snow patches tucked in depressions and coating some of the bigger logs. Usually I spend some time getting shots of the turtles. Not today, though. Kept walking. Nice to get out, get some exercise. A person can’t expect birds to be there waiting just because she happens to have her scope along, and sometimes, the quiet is nice. I set the tripod and scope down and recalled how wild the pond gets in summer with all the Tree Swallows, Red-winged Blackbirds, flickers, and the transient Cedar Waxwings. But even on this cold and windy day I knew something would come by or peep out, as did a little wren later on, although it disappeared before I could get a shot of it. And sure enough, a familiar cry echoed from the woods along the stream that runs behind the pond. 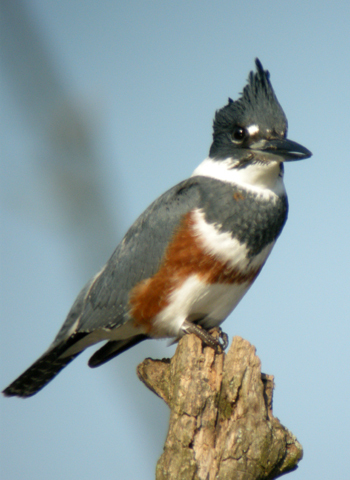 A chunk of blue tore out from the trees across to a nice open perch on the limb of a dying Red Oak, and even before it landed I knew it was one of the Belted Kingfishers that have been hanging out here all fall. Great. They love this pond and will sit nicely on any one of their 4 favorite perches for long periods of time. Today it was the male that had come to fish. You can see how he has a plain white belly unlike the female with her wide rusty belt. 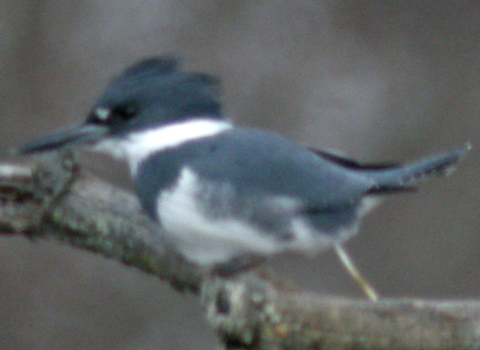 For some reason, even though I could see the bird in my LCD viewfinder, I couldn’t tell if it was in focus. I took a zillion shots and tweaked the focal ring now and then on the scope to increase the chance of some shots being clear. I am picking up new glasses next week with stronger bifocals on them. Let’s hope that helps. 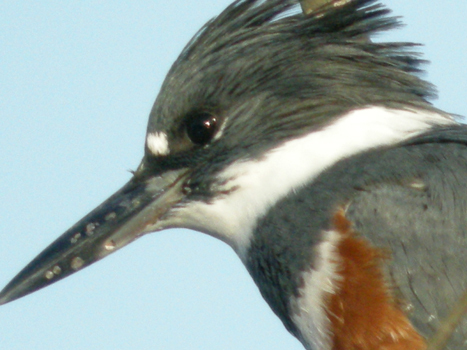 About every 20 minutes the kingfisher, a male would plunge down for a fish. He sometimes flew behind a bush to eat his catch, the stinker, but I did get some shots when he deigned to eat in full view on a wood duck box. The next 2 images are stills from a movie clip taken with the handy-dandy video on my Nikon P5100 point and shoot. I could have taken pictures of that kingfisher all day, and not just because I wanted to secure at least one focused shot, but because these birds have great photogenic qualities; that crest and bill, for one thing. Although the photo quality is horrid and shameful, the shot (which is not a still from a video) does capture our friend in mid-squirt. It is a fine example of what photographers call the “decisive moment”. Kingfishers do this a lot. I’ve got videos to prove it. Must be that diet of fish. While I was taking a breather from the kingfisher, another bird graced me with its presence. My first thought before I could see it through the scope was that it was a kestrel. It was about that size, maybe a tad bigger. But through the scope I could tell something was different. I don’t know my raptors as well as I should, although I’m learning, so it took me awhile to wonder if this might not be a merlin. When I got home I checked it in my Birds of North America (National Geographic) and turns out I was right. No obvious white cheek patch as on a kestrel. 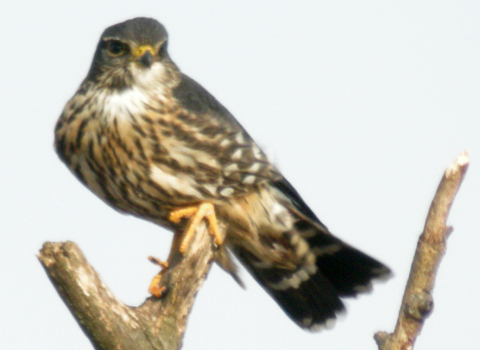 I’m going to say that this was my first “conciously aware” sighting of a merlin. I probably saw them in Colorado when I was living out there, but as I never was sharp with raptor ID, who knows? When the merlin left, I focused back on the kingfisher. 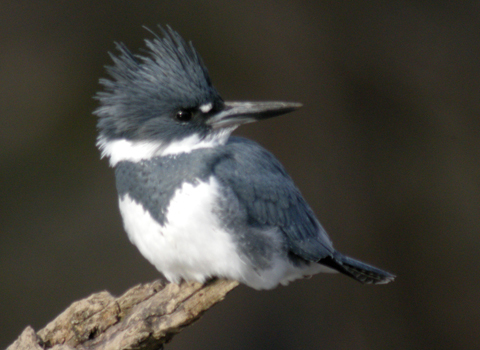 Although I thought I heard another kingfisher call from the woods at one point, I only saw the male that day. 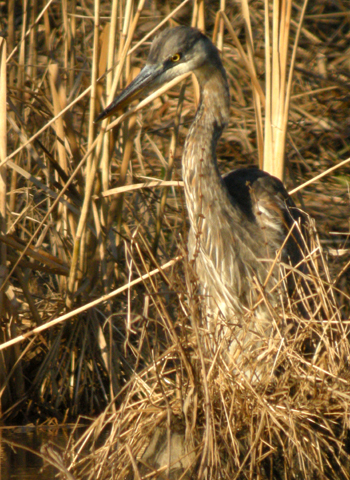 Below is a shot of the female from one of my earlier visits to the pond. Note her rusty belt. Two hours had passed and I was beginning to get chilled and my 2nd camera battery was giving me a warning that it was pooped. On the way home I made a stop at the farm where my horse lives. After giving him a nice brushing and some treats, I found another fun bird to digiscope. Maybe you’ll recognize the feet from the puzzle that you did before reading this post. You did do the puzzle, right, and not just glance at the little picture on the left? Good for you. You can look forward to more of these guys in future posts.